Apple has just released a new update for its Apple Watch 3 which after the update will now allow both skiers and snowboarders to track their activities. According to Apple, skiers and snowboarders will now be able to track activities like runs, vertical descent, and other stats. These stats will also contribute active calorie measurements directly to the Apple Watch Activity app. 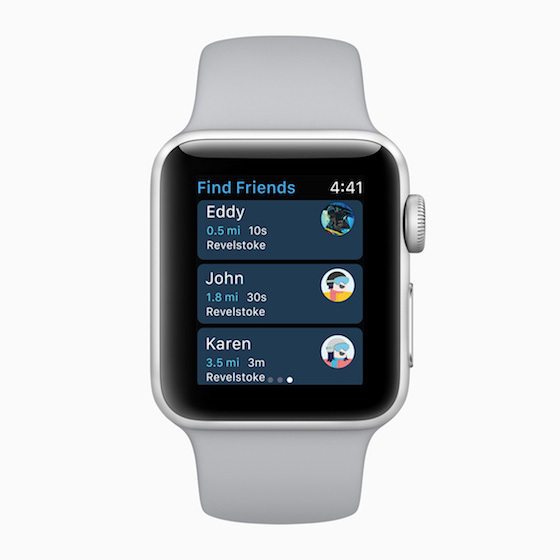 Apple Watch can also auto pause and resume tracking and help users find their friends on the mountain with a glance on their wrists. The tracked activities will be used to fill the popular Activities rings on the Apple Watch. With user permissions, the workout information can also be recorded in the Health app on iPhone. Lastly, users can also use voice commands with Siri to start the Slopes and snoww app to track their runs. This a great news for all the skiers and snowboarders out there as the ability to track their runs will certainly help them in their training. Also, the ability to find friends on mountain will also prove to be a very handy feature in case someone is lost or meets with an accident. So, if you have not updated your Apple Watch 3, you should definitely do it right now. Do remember that the updated apps are now available on the App Store however they require watchOS 4.2 or later.